Restrooms are statistically one of the top three areas of tenant complaints. A smart restroom gives management the edge in staying aware of problems and heading off complaint situations quickly and efficiently. 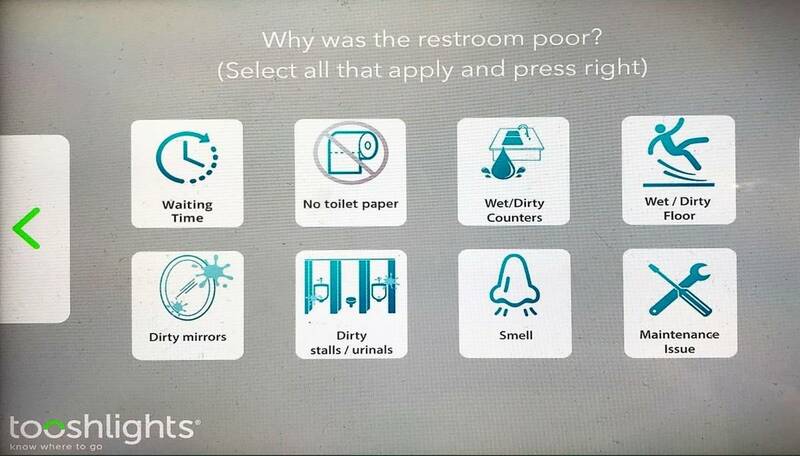 Smart restrooms are plugged-in, sensor-enabled facilities that are aware of their own conditions and can communicate that data to the network. They are a new branch of the Internet of Things (IoT), devices that operate in the physical world and are connected to the Internet so they can send data reporting on conditions, as well as receive instructions and act on them. Smart restrooms are part of the larger trend towards smart buildings and smart homes. 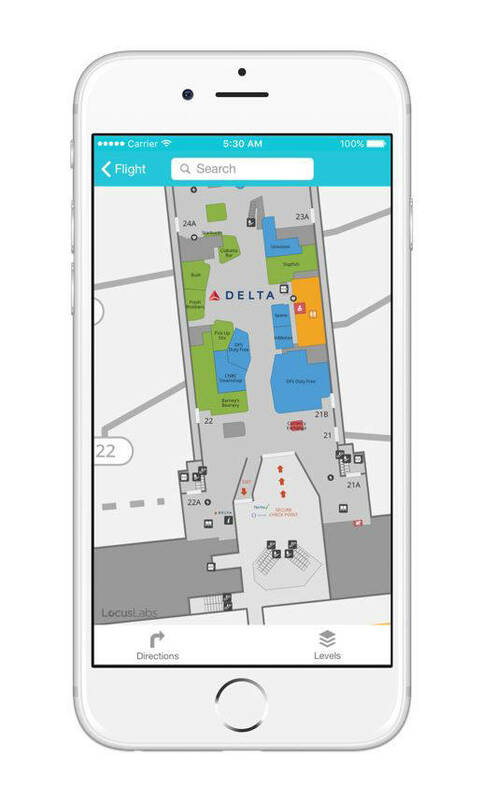 They’re smart entities because they can monitor occupancy, analyze it, and respond to it. They’re a smart investment because make facilities perform better for both occupants and owners. 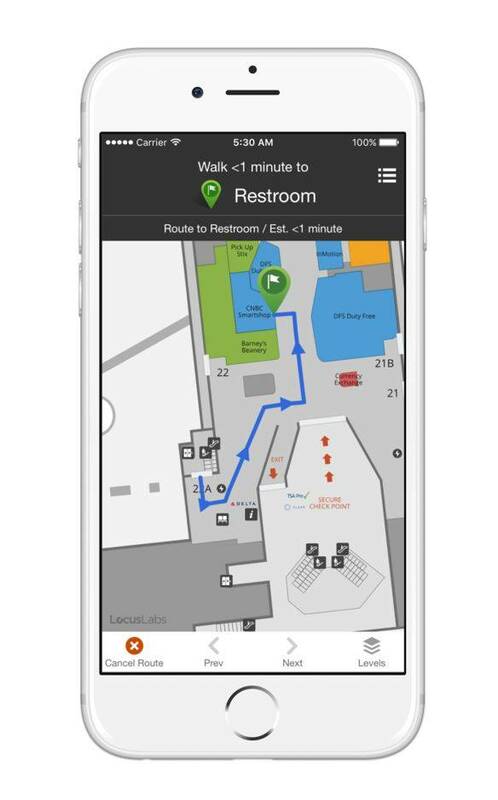 An aware, networked restroom can alert facilities managers in real time about maintenance needs, repair issues, and emergency situations. 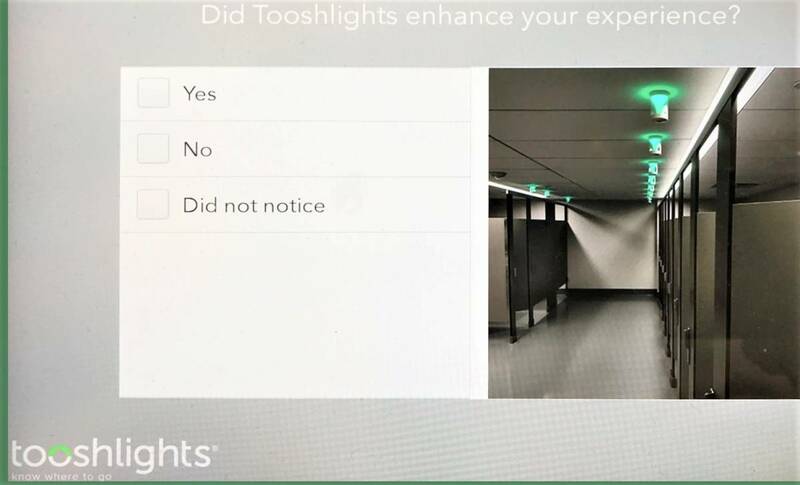 Tooshlights is one element of a smart restroom, an IoT system that can stand on its own or integrate with other smart restroom applications. Other emerging smart systems include supply monitoring (toilet paper, towel, and soap) and plumbing (automated flush and faucet valves), and our data is compatible with their app systems. 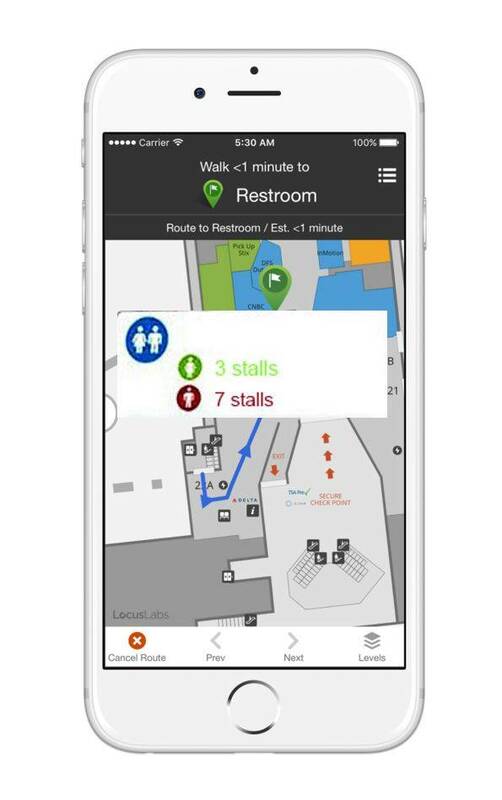 Our customizable, facility-specific interface, delivers information about overall restroom throughput, stall occupancy time and turnover, connection state, server health and even battery life, while maintaining the privacy and anonymity of your guests. 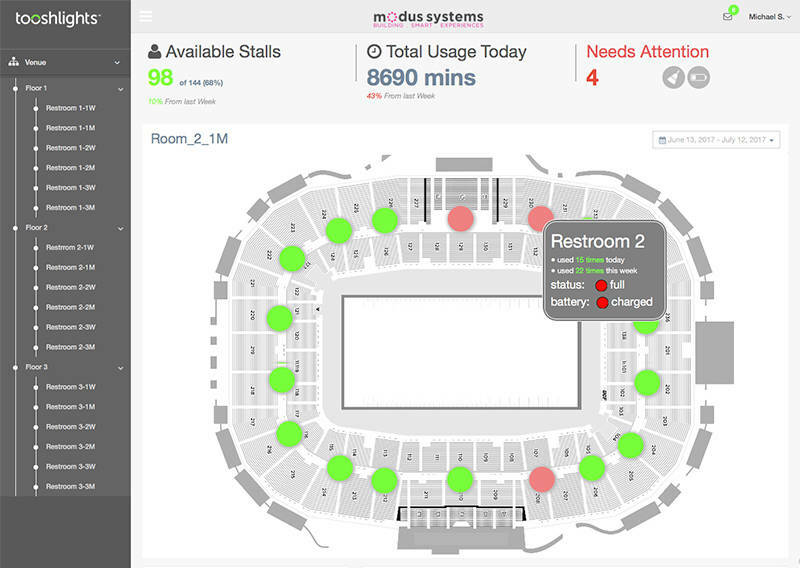 Modus Systems also offers the Complete Smart Restroom interface, for multiple smart restroom data points. Along with our UI, we can deploy our API to the specific venue. 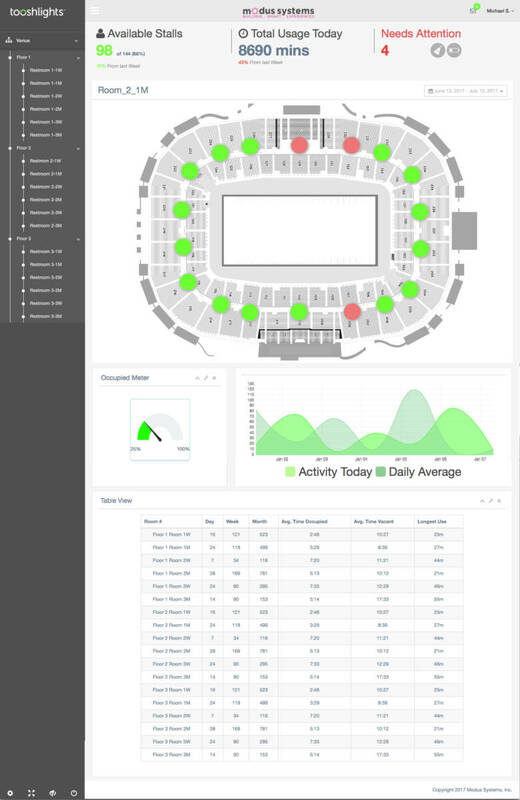 This will allow the app developers from the venue, incorporate stall occupancy data direct to the fans. 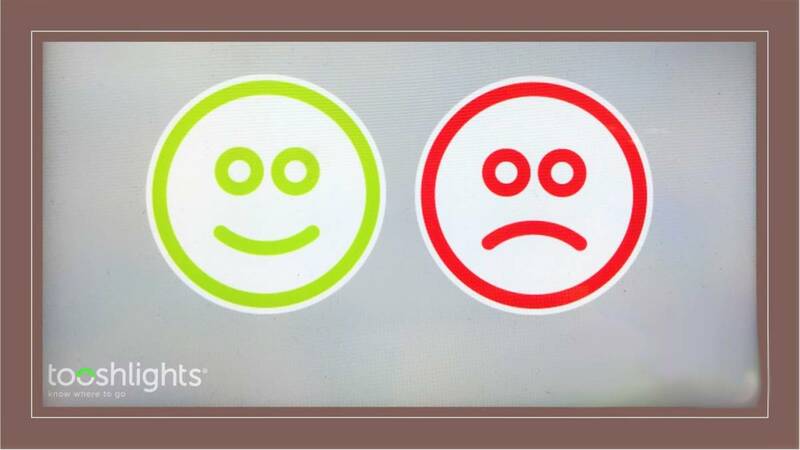 Restroom availability data can be shared with guests. 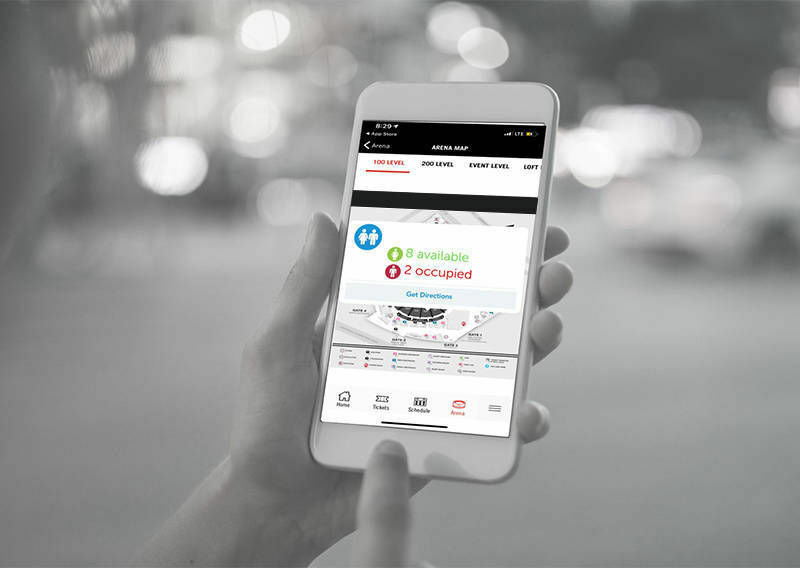 Tooshlights’ data can be integrated into your venue’s app. Visitors will not only know where the restrooms are, they’ll know which stalls are available. 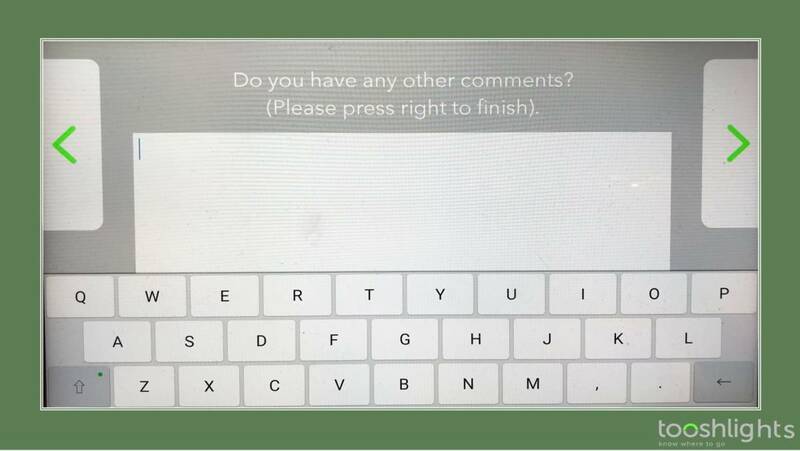 Feedback tablet – one of our most popular features that allows guests to communicate their satisfaction or complaints, and add comments in their own words – direct feedback between users and managers.